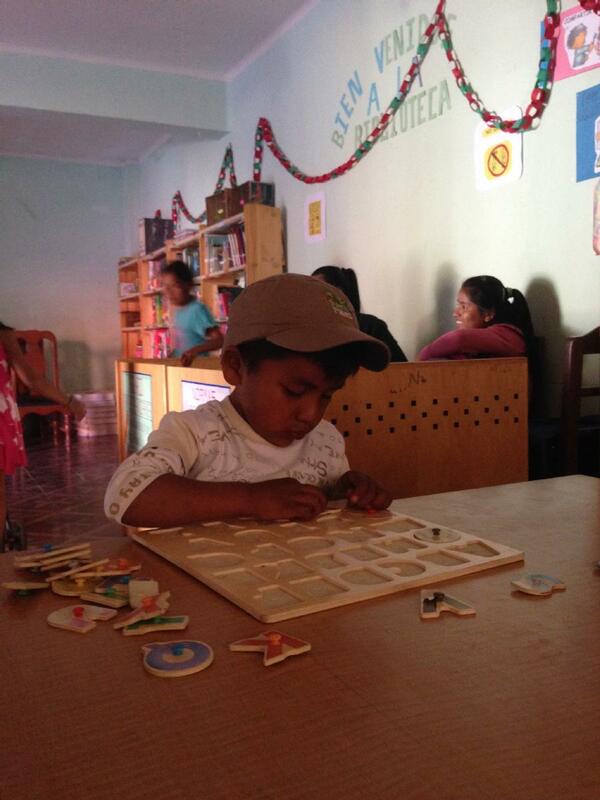 BiblioWorks is a sustainable nonprofit that promotes literacy and education in Bolivia. Want to work with kids, adults, and teachers to promote a love for reading and literacy? 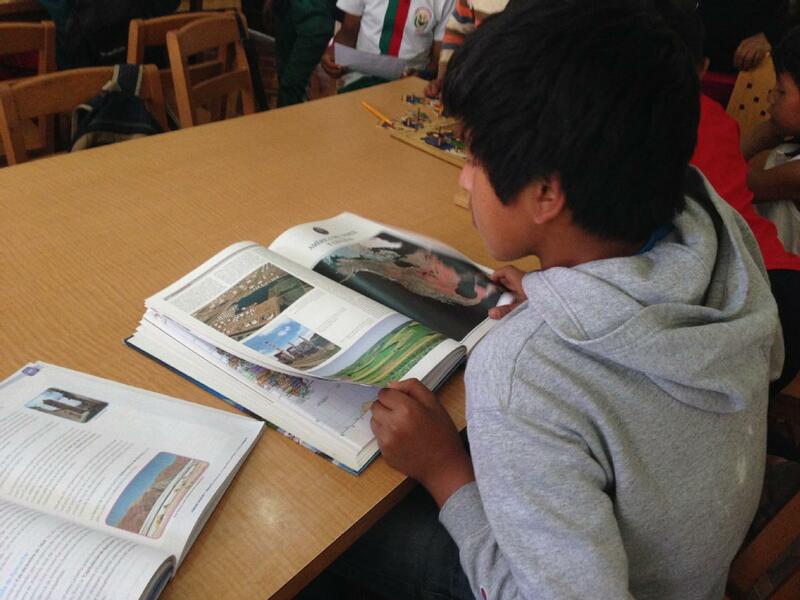 Encourage a love of languages, learning, and literacy by giving English classes in a rural library. Fight illiteracy by helping women reach an age-appropriate level of writing and reading in Spanish. Join BiblioWorks’ outstanding team to manage communications and the volunteer program. 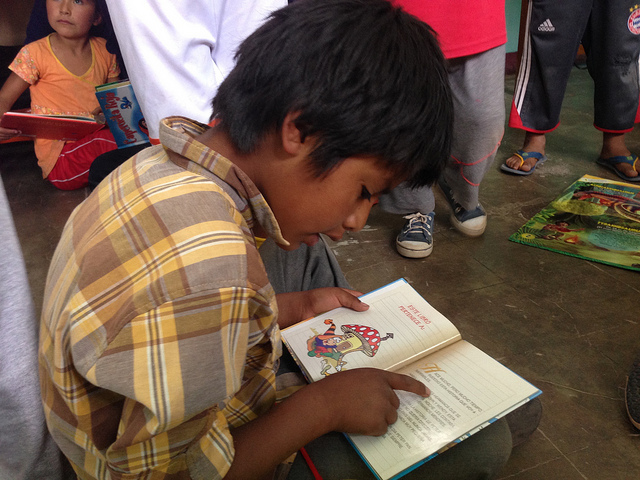 Help us attract funds and volunteers to bring libraries and a love of reading to even more Bolivian children. - Ensure completion of all requirements in Volunteer Contract (blog posts, record keeping, etc). Volunteers can come for a minimum of 5 weeks for work at a library, and a minimum of 3 months for work in the office. We do not charge a fee for volunteers. 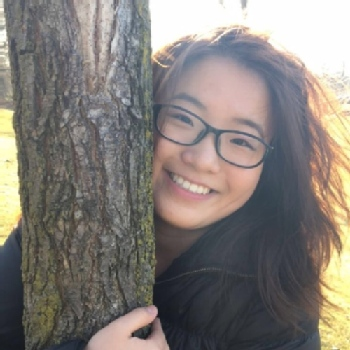 "I volunteered with BiblioWorks for 8 months as the both the Volunteer Coordinator and the Communications Director. 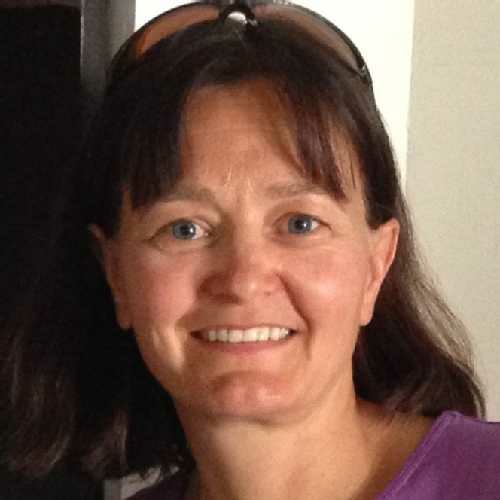 I am a teacher-librarian and I was able to use my knowledge, skills and love of books as well as gain a wide-range of new knowledge and skills while having incredible experiences and giving my problem-solving skills a workout. I was based in the office in Sucre but traveled to the rural libraries, initially with the library trainers and later independently. My Spanish was rusty when I arrived but quickly came back to me as all of the office and library staff are Bolivian and speak little to no English. The BiblioWorks staff are very professional and committed to their work. They work collaboratively and I felt privileged to be a part of the team. 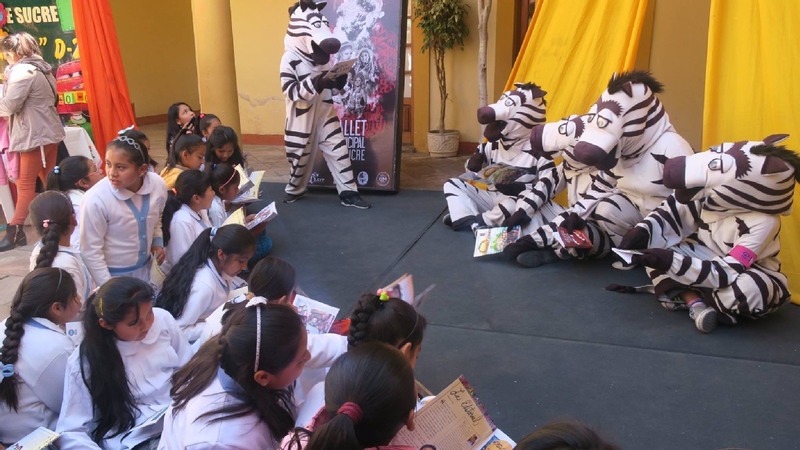 My final month of volunteering was April 2016 and it finished with two of BiblioWorks biggest yearly events - “Sucre Lee” (Sucre Reads) and “La Feria de la Lectura” (The Reading Festival). The lead up to these events gave me a chance to experience the highs (and lows) of fundraising first hand as well as take part in press conferences and live radio interviews (in Spanish!). I will treasure the memories I have made during my time in BiblioWorks and put my newfound skills and knowledge to use in my future work. I highly recommend volunteering with BiblioWorks if you have a love of books and reading, a reasonable level of Spanish, an open-mind, and a sense of humour!"  "I volunteered with BiblioWorks as their Volunteer and Communications Director between October 2014-May 2015. Living in Sucre and working with the team in the office was an absolute pleasure, and so much more interesting and involved than just visiting the city like a normal tourist. In this role I got to visit the different libraries that BiblioWorks has helped to establish, meeting their partners and beneficiaries and getting to understand the profound effect that this NGO is having in the rural areas that need literacy support. I also taught for a short while in one of their libraries and it was such an incredible experience to work with the young people and encourage them to make the most of their library. The girls in the office are so welcoming and friendly, and the current Volunteers and Communications Director, Megan is dedicated and really supportive of volunteers. If you want a chance to get in real close contact with local people and see the impact of your efforts, BiblioWorks is definitely a charity that you should consider working with." "I volunteered with Biblioworks because I love libraries, I´m a librarian, and I wanted to do some volunteer work while traveling abroad. 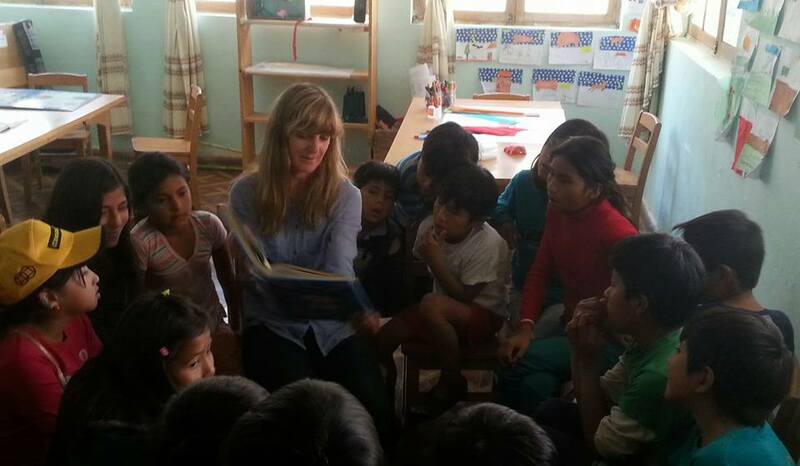 I was interested to see what libraries were like in rural Bolivia and see how I could help bring a love of reading to Bolivian children. My girlfriend and I volunteered for 5 weeks, going to different Biblioworks´libraries and putting on a workshop for the children that involved reading books and creating songs together. The staff at Biblioworks was super supportive and excited about our project. They would travel with us to each library for one day to help us set everything up, get the kids pumped to come to the library, and make sure we were comfortable with our travels and getting around the communities. The Biblioworks staff is caring, helpful, interested, and committed to their mission to bring libaries and literacy to Bolivia. It is so cool to be a part of that drive and enthusiasm. 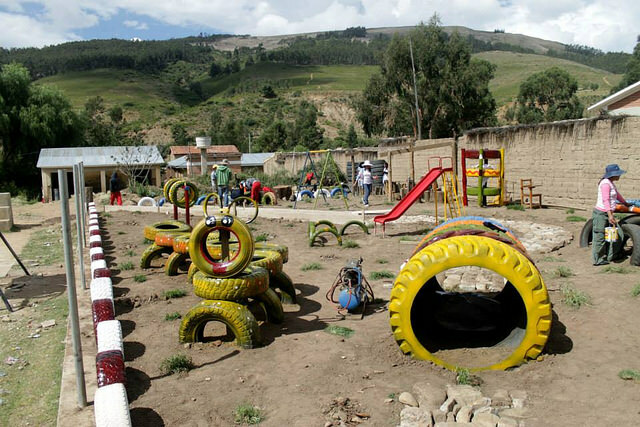 Volunteering gave us the opportunity to get to know Bolivian people outside of just the tourist industry. We got to understand and explore the country in a much different way than just organized tours. 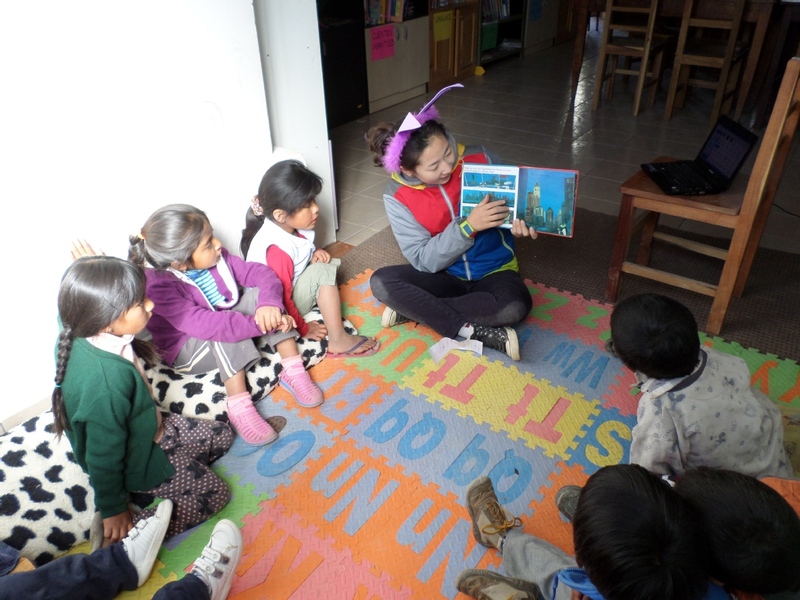 If you love literacy, kids, and helping make the world a better place, I highly recommend volunteering in Bolivia with Biblioworks." We do not provide meals or accommodation, but we can assist volunteers in finding reasonably priced accommodation in Sucre and in the rural communities where our libraries are located. #119 Destacamento 317, Sucre, Bolivia. We need good quality picture books for children in Spanish. Biblioworks relies entirely upon donations and fundraising to keep us running. We ask that volunteers fundraise a donation prior to coming to volunteer. There is no minimum amount as every bit helps! Not only have we opened and equipped 16 libraries, but we are working on making them all self-sustaining. 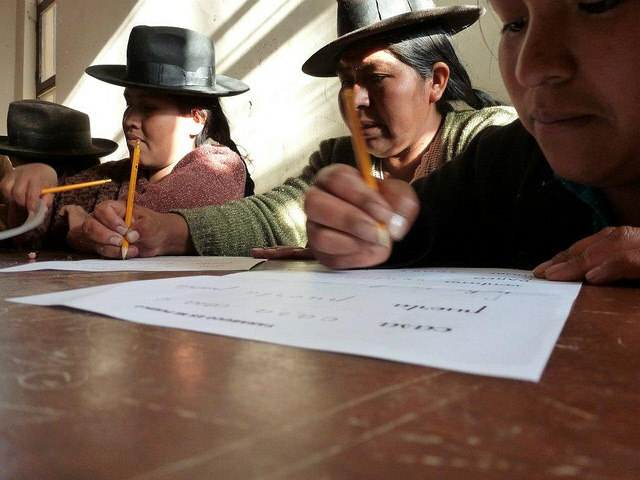 With our team here in Bolivia, we have trained hundreds of librarians, teachers, students, and other community members in the proper use of a public library. Our organization is dedicated to improving literacy and opening educational doors so that children and young people will have new opportunities to pursue studies and vocations. We believe these opportunities will allow them to serve their communities and develop strategies to eliminate poverty. 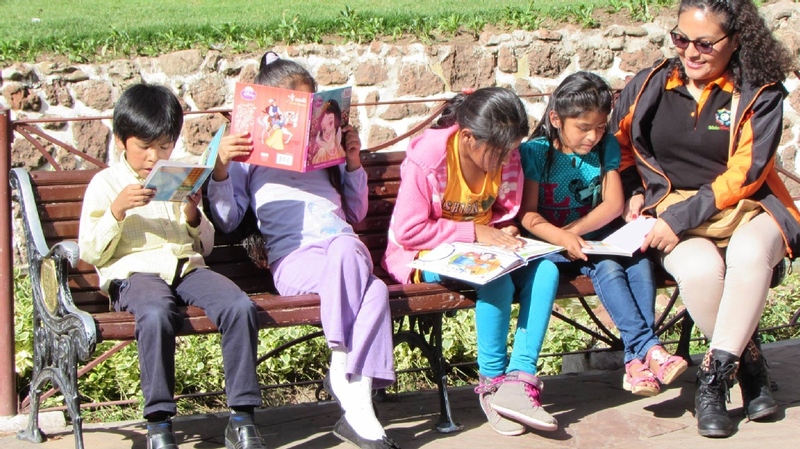 In rural Bolivia, the concept of public libraries is relatively new and most children and adolescents do not have access to books and information that are necessary to achieve success. We at Biblioworks would love to hear from you!